The same way that Andrew Wyeth used a thin line of watercolor on stark, white paper to evoke a tree branch, Catherine Marie Charlton places perfectly spaced notes in a composition to draw us into Wyeth's world. Charlton's “I Dream About This World: The Wyeth Album,” which was released by the acclaimed pianist in July, is an airy, richly nuanced musical exploration of the creative process. 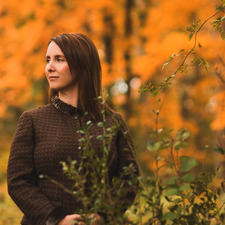 Deftly blending classical music with subtle notes of jazz and delicate improvisation, the 11 tracks on the album are wrapped in a book that delves into the Wyeth family, Charlton's eloquent musings, and her dazzling photographs, which were taken during her many walks through the Brandywine Valley, where Andrew Wyeth drew his own inspiration. Andrew Wyeth passed away in 2009, so Charlton never met the artist. His sister, Ann Wyeth McCoy, who passed away in 2005, was a composer whose works gained acclaim during her lifetime. Charlton performs one of McCoy's original compositions on the new album. “My biggest sources were all the interviews by Richard Meryman,” she said of the Wyeth biographer. “I heard him at the Bradywine when he came to speak about the last book he wrote on Andrew. That was my first introduction to the words of Andrew Wyeth. What struck me was how Andrew Wyeth was able to express the creative process so succinctly, eloquently and beautifully,” Charlton said. After talking to Meryman, Ann's daughters Anna B. McCoy and Robin McCoy, and the staff at the Brandywine River Museum, Charlton was building a mountain of information, but realized that her research was long on facts and short on heart. Charlton documents each walk by taking photos – eventually more than 9,000 of them – and posting just one image from each walk to summarize the experience. Walking through the landscape again and again brought her into the same creative space that inspired the Wyeths for decades. She traveled to Maine, where the Wyeth family spent the other half of their lives, and walked the rugged coastline. Deeply immersed in nature, she sought to distill the experiences into music that is as soft and sparing as one of Wyeth's landscapes. Her piano playing is augmented by contributions from cellist David Darling, guitarist Carl Weingarten and others, as well as nature sounds originally recorded by Charlton and then enhanced by producer and chief engineer Phil Nicolo, who Charlton called “my equal partner in this project.” For his part, Nicolo “said this is one of the proudest projects of his career,” Charlton said. 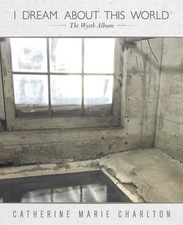 The Wyeth CD is the first full-length release on Nicolo's own Phil's Records label. The album is featured at the Brandywine River Museum, as well as the Seattle Art Museum, and through Amazon. The Andrew Wyeth Estate also granted permission for some of the artist's paintings to be used in the CD booklet, and at Charlton's lectures and concerts. “I know that permission is not given lightly,” she said. “During his lifetime, he said that he never wanted his art attached to someone else's art. That's why I don't have a Wyeth painting on the cover of the CD, for example. He wanted other people to have their own art, and not to be riding on his coattails. I was always respectful, and I wanted to make sure I was respecting the legacy. Charlton's two children were toddlers when the Wyeth project started, and now they are in elementary school. She is inspired by the way that N.C. Wyeth raised his remarkable family, getting them out into nature, playing classical music for them in the evenings, putting on plays at home, and encouraging them to read and paint and write on a daily basis. For more information, visit www.catherinemariecharlton.com.